The MIB letter mentions the concerns raised by the Department of Empowerment of Persons with Disabilities (DOEPwD) in the past regarding formulation of Accessible India Campaign (Sugamya Bharat Abhiyan) for achieving universal accessibility for persons with disabilities which had stressed that access to TV programmes for many persons with disabilities is denied due to lack of assistive technology. The MIB advisory of June 13, 2016 had requested all TV channels, News Broadcasters Association (NBA), Indian Broadcasting Foundation (IBF) and Association of Regional Television Broadcasters of India (ARTBI) to carry the same language captions and audio description along with the programmes and news reports by TV channels for accessing by persons with disabilities. Clearly the 2016 advisory is not being followed by the broadcasters. While the attempt of the Ministry seems laudatory, the issue seems to be gripped with practical difficulties and increase in programming costs for the broadcasters and if made mandatory is bound to face stiff opposition from the broadcasting industry. In 2011 the ITU had published a comprehensive report on making television accessible [Read here]. The Report extensively covers the strategic implications of making audio-visual content accessible to persons with disabilities. Captioning is the process of converting the audio content of a television broadcast, webcast, film, video, CD-ROM, DVD, live event, or other productions into text and displaying the text on a screen or monitor. Captions not only display words as the textual equivalent of spoken dialogue or narration, but they may include speaker identification, sound effects, and music description. Captioning aims to include as much of the original language as possible. However, altering the original transcription may be necessary to provide time for the caption to be read and for it to be in synchronization with the audio. Captioning may be presented as text or, in the case of foreign-language dialog, read aloud in the form of Audio Captioning (North America) also known as ”Spoken” or ”Audio Subtitles” in Europe. The service may be something the viewer has to select (Closed Captioning) or may be an integral part of the image (Open Captioning). Where possible Intra-lingual Captioning is pre-prepared or produced live using Stenography or Re-speaking. Captioning Audio is also known as Audio Subtitles or Spoken Subtitles. 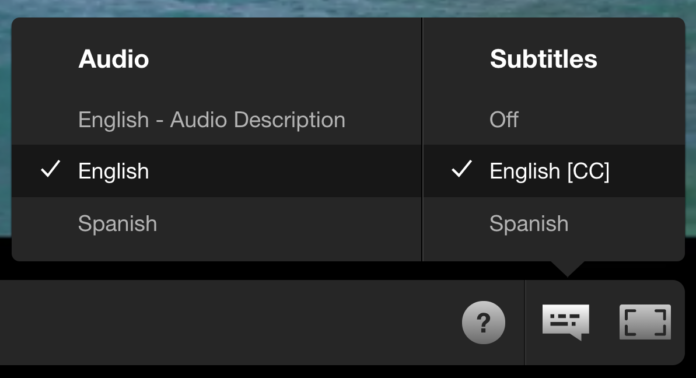 Audio content of an audiovisual work or sequence in a foreign language is converted into captions or subtitles in the target Based on definition in the Caption Key, the Described and Captioned Media Program. These inter-lingual captions are then read aloud. This may be done at the source or in the user’s device using speech synthesis. Sign language – A sign language (also signed language) is a language which, instead of acoustically conveyed sound patterns, uses visually transmitted sign patterns (manual communication, body language) to convey meaning—simultaneously combining hand shapes, orientation and movement of the hands, arms or body, and facial expressions to fluidly express a speaker’s thoughts. Signing is communication using sign language. From the above definitions, it is clear that for captioning- subtitling rights would be required by the broadcasters. Sub-titling rights need not always be available with the broadcasters and may come at an additional cost or in some cases not be granted at all depending on the holdbacks the licensor has while giving rights to the broadcasters. Last year TRAI had come out with recommendations suggesting that 50% of the TV channels should be developed in PwD friendly and accessible format over the next five years. The recommendation drew flak for lack of clarity. It would be interesting to see if the I&B Ministry acts in furtherance of this Advisory and makes it mandatory for the broadcasters to comply with sign language interpretations on television shows.